Ady's Place Backpackers offers clean, comfortable and affordable backpacker accommodation perfectly situated in the heart of the city. 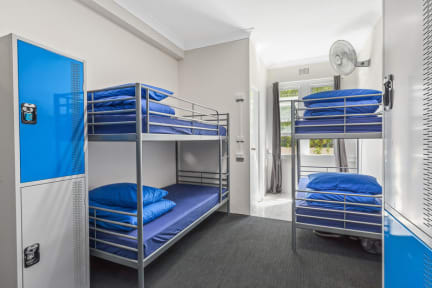 The hostel is just a short stroll to Kings Cross Station and Hyde Park, as well as moments from the domain and the iconic Sydney Harbour. 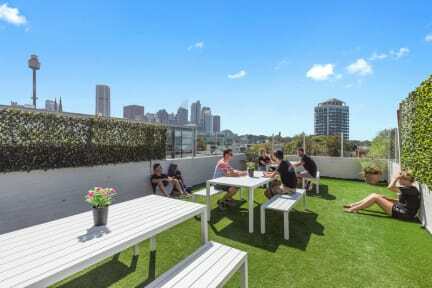 Recently renovated, and providing free breakfast, WiFi and nightly events, we are your first choice to accommodate you on your adventure to Sydney! Sadly, the water was always cold. We never had a warm shower. And it’s a bit small for all this people. Anyway we enjoyed our stay in this hostel. Nice atmosphere, good beds, rooftop and well-provided. Great hostel, cheap and very social, the roof top is great. Staff are always cleaning to make sure the hostel stays tidy. I would definitely stay here again. There were a few down sides though, the showers were only warm on mornings, and the hostel in general is quite small and cramped. not very social hostel, many staying long term. Really clean but small kitchen that was full often. Good location short walk to store (woolworths), hyde park and king cross station. Baths are old as, and the kitchen is really small. Otherwise than that it’s a very nice and clean hostel. Rooftop view is a cool feature and also the location is close to the center.